New hole signs are being installed in 2019. The new signs will include area for corporate advertising. Corporations are therefore invited to apply for hole advertising sign locations to include logo and contact information. Advertising packages can be purchased for terms of 1 to 5 years, and include transferable Green Fee Passes. For more information on the package please click here. 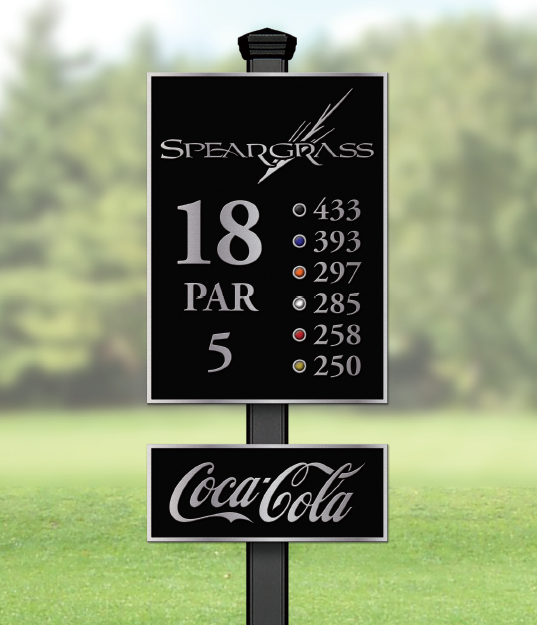 Get in early to ensure that your advertising appears on your favorite hole! Limited of 18 advertisers per year.